Debut album from Nigerian rapper Burna Boy L.I.F.E (Leaving an Impact For Eternity). They call him Burna Boy and he's back again. This time not with a throwaway single, but his full length debut L.I.F.E (Leaving an Impact For Eternity). We've taken note of Burna's rise, which has been a few years in the making. He's gained a nationwide following in Nigeria whilst simultaneously shunning trends and establishing a unique voice. It seems he fits in by being pointedly different, thereby creating a mainstream niche for himself. With the quality of his prior Burn Identity mixtape and subsequent singles, it would be an understatement to say his debut LP was highly anticipated. L.I.F.E is led by singles "Run my Race," "Tonight" and "Like to Party," whose lyrics, tempo and delivery reveal everything you need to know about Burna's message. He's a young man having the time of his life, but after all, he's earned the right through struggle and sacrifice. The partnership between Burna and producer LeriQ is something quite special and unusual in this day and age. When a producer guides an entire album, as LeriQ does on L.I.F.E, he transforms from a mere beatmaker to a thematic and musical co-director. We've seen such partnership prosper in the past in multiple instances — Michael Jackson/Quincy Jones, Timbaland/Jay Z and so many more. Burna navigates through multiple musical styles with his combination of Jamaican toasting and Nigerian sharp delivery and flow. The intrinsically Fuji feel on "Ma Loda Ma Motto" transforms into a radio friendly track with Burna's touch. The EDM tempo and rhythm of "Always Love You" almost tricks listeners into believing it's a Guetta construct, but alas it's Burna again with his easily recognisable voice over the track. The Fela-esque chant ("I Never Tell You Finish") at the start of "Boom Boom Boom" is Burna's attempt to channel the late great through social commentary. Album peak, "My Cry," features Chocolate City royalty M.I Abaga on Burna's sobering account of the state of Nigerian affairs. For a gratifying moment, party rhetoric tones down and in its place arises a discussion of social issues — a specially crucial element of music in a country with issues as deep-rooted as they are in Nigeria. If just for one track, Burna lives up to the responsibility of using his stature and relevance as an artist to speak out on injustice. 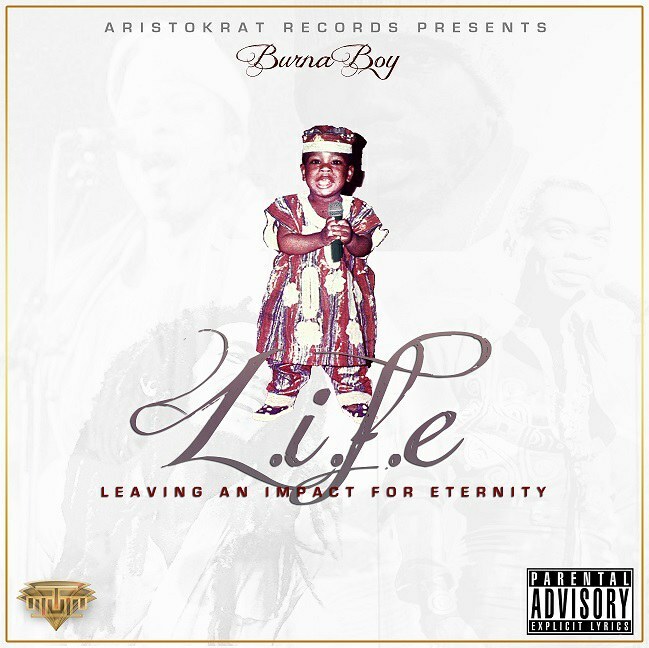 Burna Boy's L.I.F.E - Leaving an Impact for Eternity is out now via Aristokrat Records.